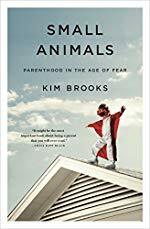 - I felt a lot of anxiety while listening to this book, which felt odd because it’s a book abt how or anxiety and fear is making us overprotective of our kids. It made sense tho when the author sits down to talk to lorraine skenazy at the end of the book. lorraine skenazy tells the author she must make people more scared of being overprotective than they are of the things that drive hovering parenting behavior. Ugh so many typos! I was on my phone; sorry!